We had a chef friend of ours coming in for the evening to dine tonight so we put together a nice 10 course original tasting for him. This is what I served him for a pre-dessert. 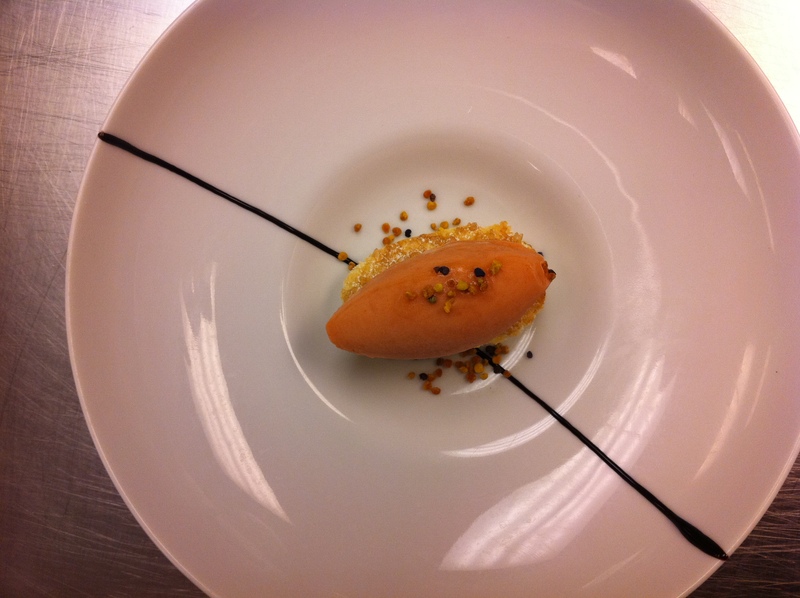 Its a roasted peach sorbet, sitting on a small buttermilk biscuit and I finished it with some bee pollen. It turned out really lovely.